"Vintage Oval" Motocross Backgrounds by Fast Times CHOOSE YOUR COLORS! 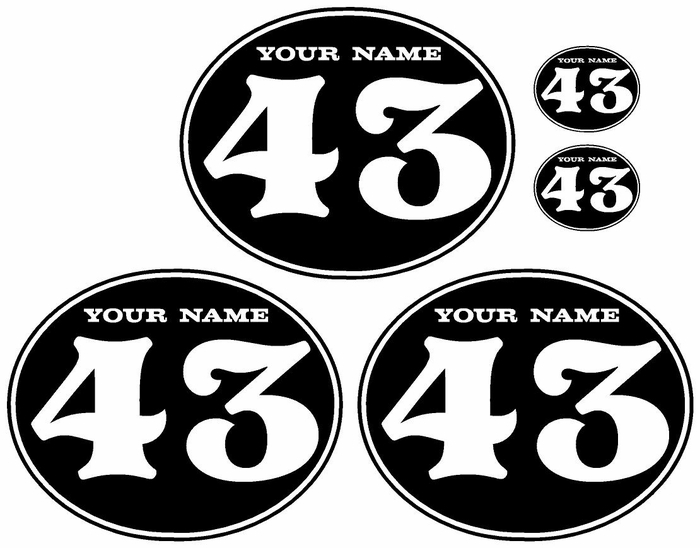 Pre-Printed Background set is decals for right side, left side and front number plate. Size is 8.65" Tall by 10.65" Wide on all three plates. With your name and bike number pre-printed for a super clean look. 2 free mini front plates are included with your background set. 19mil thick pre-printed name and numbers. Plastics are not included. NOTE: There is NO returns since all product is Custom made to order. Made in the U.S.A.